Gorgo, the New Album, 16th September. For twelve years now, the three messengers of MoRkObOt have been elaborating on their discography with a series of increasingly perplexing and infectious records. GoRgO is the brand new album of low-end noise rock origami from Lin (bass), Lan (bass) and Lon (drums), to be released on Supernatural Cat this September. 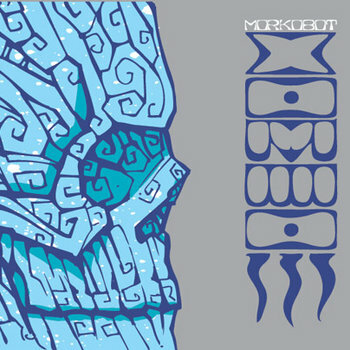 MoRkObOt’s dual bass methodology creates a debauched entanglement of corkscrew rhythms that shake off the notion of sterile technicality, rather, theirs is a fleshed out monster that stomps to a different octave. 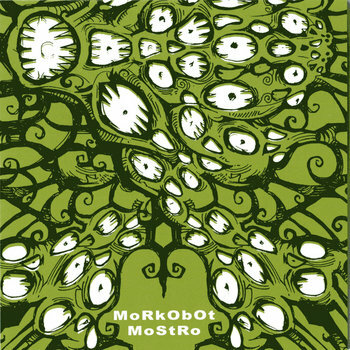 Honing in on the minutiae of their interlocking slides, slams and slippery beats, MoRkObOt create a unique and lively psychedelia akin to being in an accelerating whirlpool of their malicious creation. Heaviness is achieved in the most refracted of manners, letting both bass pincers extend in melodic directions around the relentless, booming drumming, then snapping shut with mechanised indifference, hitting hard and fast over and over. The gurgling fountains of noise Lin and Lan conjure over the duration of GoRgo place them in the highest echelons of noise rock innovation, while Lon’s percussion is both the unstoppable force and the unmoveable object. GoRgO, their fifth full length, was recorded from November 2015 to January 2016 by Giulio Ragno Favero (Zu, Teatro degli Orrori, OvO, One Dimensional Man) at Lignum Studio (Padova, Italy). It ushers in a new era in writing for MoRkObOt, one that revolves around constructing more ambitious structures driven by simpler forms and tighter structures. GoRgO took only three days to record, and was cut live in a minimal amount of takes, testament to the trio’s impressive musical coherence and unity, and the mixing process took another eight days, with no further editing being required. GoRgO shall be released 16th September via Supernatural Cat. Audio and video excerpts from the album shall follow in the weeks to come. 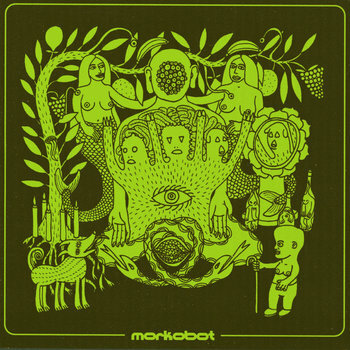 MoRkObOt​ :: NEW ALBUM, RECORDING SESSIONS! eng – Lin, Lan, Lon (the messengers of MoRkObOt) are proud to announce that on November 2nd will start the recording sessions of the New Album of MoRkObOt! 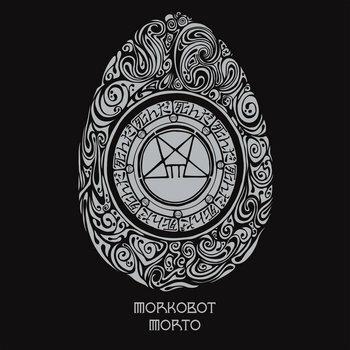 Lin, Lan, Lon (i messaggeri di MoRkObOt) sono fieri di annunciare che il 2 Novembre (il giorno dei MoRti) avranno inizio le registrazioni del nuovo album di MoRkObOt! Il produttore sarà il temibile Giulio Ragno Favero​ (Zu, OvO, Il Teatro degli Orrori​, One Dimensional Man​). OSSO, out now on Subsound Records! Lin, Lan, Lon (the messengers of MoRkObOt) and the mighty Eraldo Bernocchi together! Cover artwork by Petulia Mattioli, drawings by Berlikete. Here’s how each new month of January (with the exception of January 2012) Lin, Lan, Lon (messengers MoRkObOt) are forced to take stock of the past year. The curious among you readers will find a short summary of the exciting adventures faced by messengers during the calendar year just ended. Do not want the reader alarmed by months of silence and no apparent life outside the walls of the Fortress of Science. The year of 2014 is perhaps the one that has seen the messengers work more in the shadows, with rare public appearances because of hard work to new scientific experiments that are leading to the mysterious trio of completely new terrible album. But still long is the road to Lin, Lan, Lon, messengers MoRkObOt. Decomposition of the new scientific experiments. Messengers come back to the English Channel. Messengers come back to the English Channel and in some hilly areas of Central Europe. Besides, a failure affects the engines of 5.0 MoRkOvAn forcing messengers to early return to the Fortress of Science. Lin, Lan, Lon (messengers MoRkObOt) announce to the whole world the upcoming release of OSSO, the terrible creature to 4 head of the Shrew with the fearsome Eraldo Bernocchi. Lin under a false identity with the human realizes Garaliya album Reforged. Lan under a false identity human begins recording the new album of the Zolle. Lon under a false identity human joins the band of Obake. Ecco che come ogni nuovo mese di gennaio (ad eccezione del gennaio 2012) Lin, Lan, Lon (i messaggeri di MoRkObOt) si vedono costretti a tirare le somme dell’anno appena trascorso. I più curiosi tra voi lettori potranno trovare un breve sunto delle avvincenti avventure affrontate dai messaggeri durante l’anno solare appena trascorso. Non voglia il lettore allarmarsi per mesi di silenzio e senza apparente vita al di fuori delle mura della Fortezza della Scienza. L’annata del 2014 è forse quella che ha visto i messaggeri lavorare più nell’ombra, con rare apparizioni in pubblico a causa dell’assiduo lavoro ai nuovi esperimenti scientifici che stanno portando il misterioso trio al completamente del nuovo terribile album. Ma ancora lunga è la strada per Lin, Lan, Lon, i messaggeri di MoRkObOt. Ritorno dei messaggeri al di là del canale della Manica. Ritorno dei messaggeri al di là del canale della Manica e in alcune zone collinose dell’Europa Centrale. Inoltre, un’avaria colpisce i propulsori del MoRkOvAn 5.0 costringendo i messaggeri al ritorno anticipato alla Fortezza della Scienza. Lin, Lan, Lon (i messaggeri di MoRkObOt) annunciano al Mondo intero l’imminente uscita di OSSO, la terribile creatura a 4 testa domata insieme al temibile Eraldo Bernocchi. Lin sotto una falsa identità umana realizza con i Garaliya il disco Reforged. Lan sotto una falsa identità umana inizia le registrazioni del nuovo album degli Zolle. Lon sotto una falsa identità umana si unisce alla banda degli Obake.